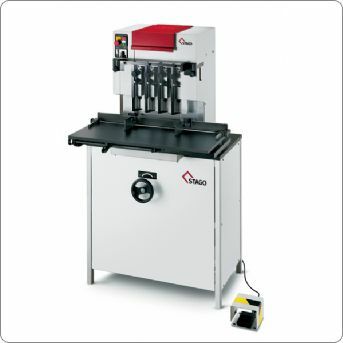 Binding Store supply a full range of paper drills, including single head drills with memory table, twin head paper drills, four headed paper drills and multi-head drills for specialist applications. 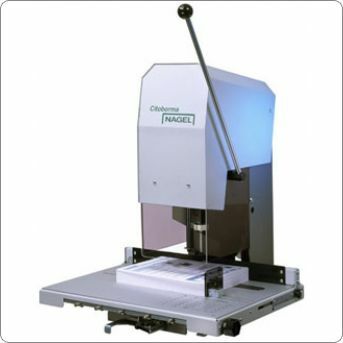 We sell machinery from reputable brands including Uchida, Morgana, Citaborma, Cyklos, Stago, Hang and Iram. All of our used machinery is serviced and refurbished by our engineers to ensure quality and customer satisfaction. Should you wish to drill just a few reams of paper or are in a commercial print finishing environment and need to drill palette after palette of work, binding store will have the correct solution for your company. 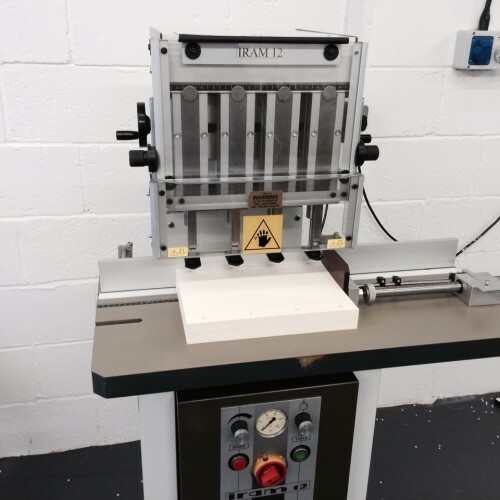 For further advice and details on our paper drilling equipment contact Binding Store today! 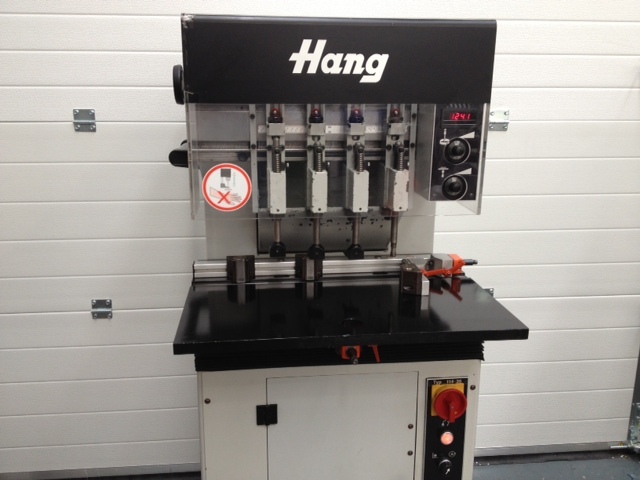 The HANG 114-30/4 AUTOMATIC 4 HEAD PAPER DRILL was recently recieved in to us in June 2013. The machine is in good working condition. The Hang paper drill was first installed in June 2002. 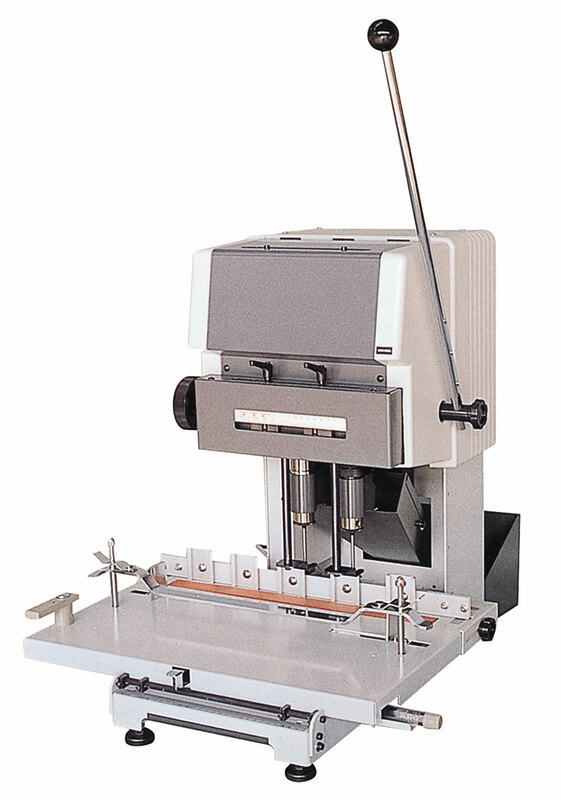 This model is the 114-30 which means it is equipped with an additional variable spindle speed setting and drill speed indicator. 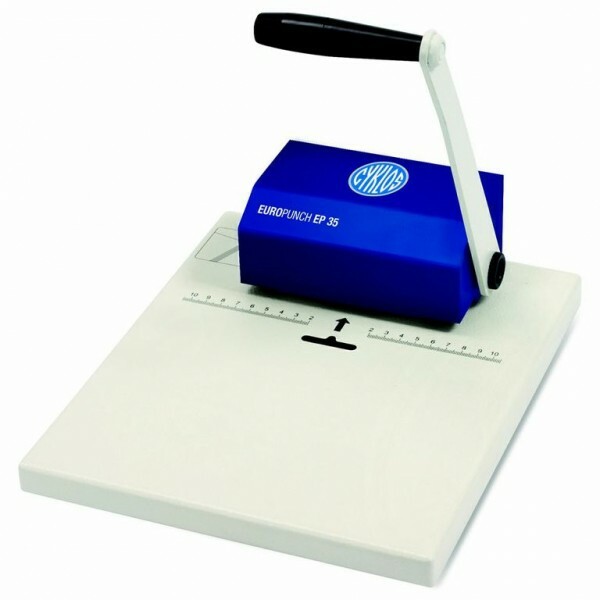 This is a great feature for operators when they are drilling difficult stock such as thick paper, plastic or leather. It has a variable speed of 260rpm up to 1800 rpm. The machine also ticks over when idle instead of running at full speed, saving energy and noise. Drilling diameters range from 3mm – 14mm and hole distance on the page can go from as small as 36mm – 260mm. Both hole distance and drilling depth can be adjusted easily by hand. Drill heads can be moved by quick adjustment and the table lift speed can be adjusted from 2 strokes per minute up to 22 per minute. Back guage and side lay are both quick size adjustable with number box to easily recall measurements, as well as having a fine adjuster. 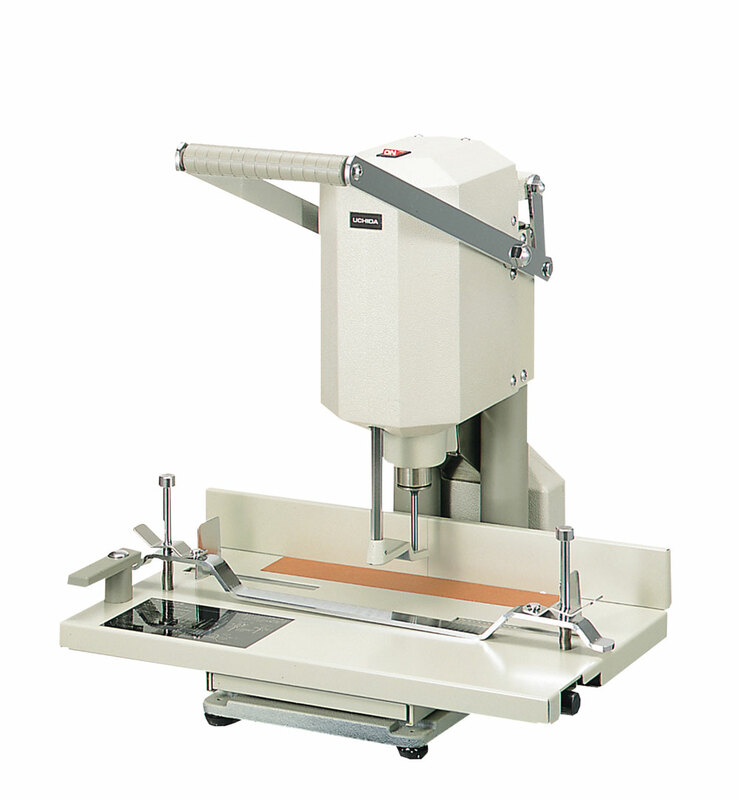 The drilling process is performed by foot pedal. The machine runs on 3 phase power and is on wheels making it easy to move and store away when not in use. 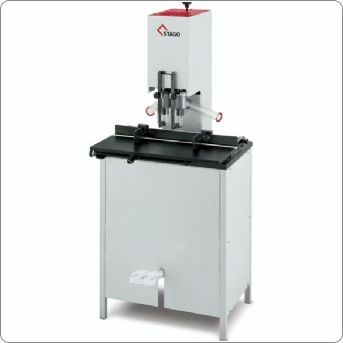 This is a twin-spindle heavy duty paper drill for frequent drilling work of all types. 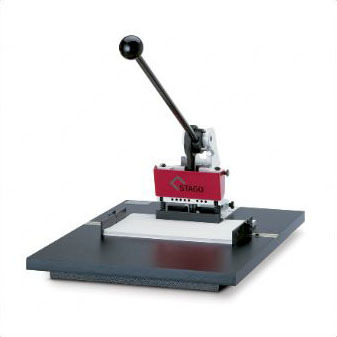 The Uchida VS-200 is designed to cope with any requirement a reprographics department is likely to encounter, with a wide choice of sizes and applications catered for, as well as elements with take away any difficulties in operation. The Uchida VS-55 is a heavy-duty paper drill to handle regular drilling work, while retaining simplicity of use and with no loss of versatility. 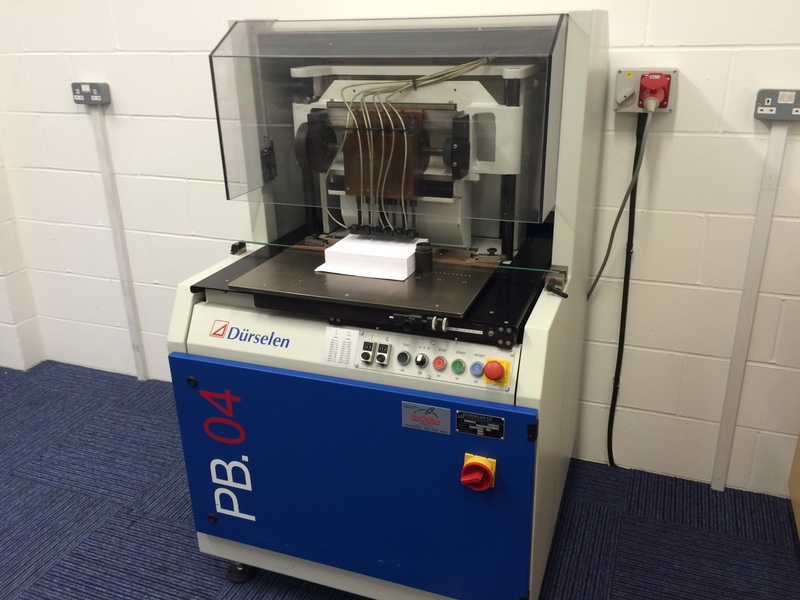 It is the machine to use where quantities of documents need to be drilled for correct archiving. 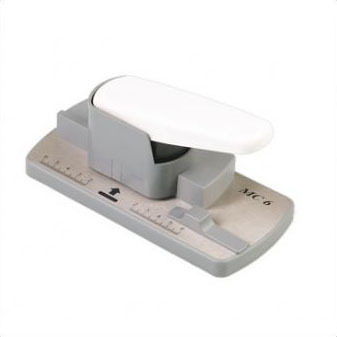 The choice of holes drilled rises to 13mm in diameter while a 376mm maximum paper length will cover the paper formats that are most common in office use. 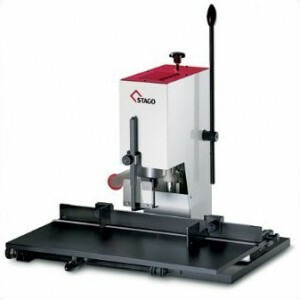 The Citoborma 190 single head drill is well known to be industry standard and remarkably user friendly. It has 6 pre-programmed different hole patterns set up within a second. It is a table top model with a quick release sliding table. RRP £140 – currently on offer!! 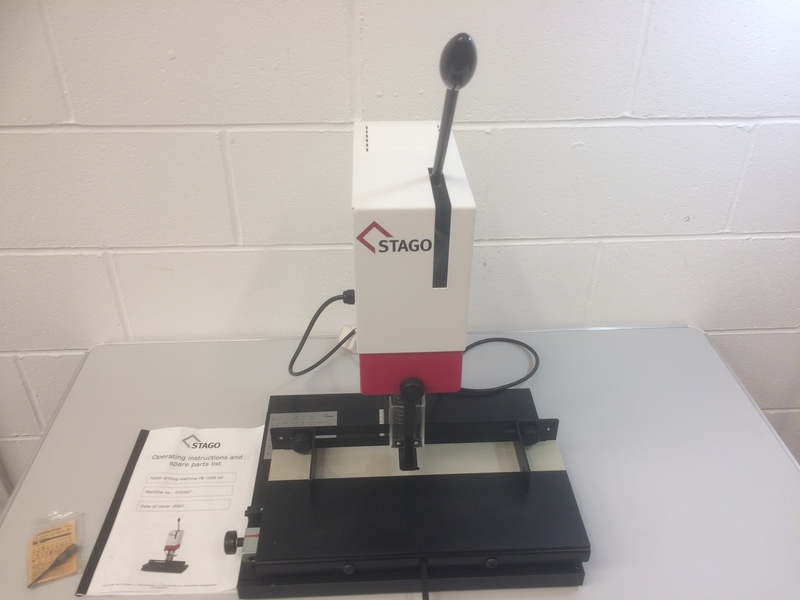 2014 Stago 1006 Paper drill in immaculate condition.